A collaborative and inspiring leader, Emilie believes that a sustainable public transport system forms an integral part of a liveable city, contributing to positive outcomes for the citizens, visitors and the environment. “People never talk about how great it is to live next to a busy road, but they do talk about the benefits of having public transport close by, or being able to walk and cycle to the places they want to go. They’ll also tell you about their great experiences travelling on public transport networks in other cities. It shows just how much the experience of getting around is part of the place you are in,” she says. 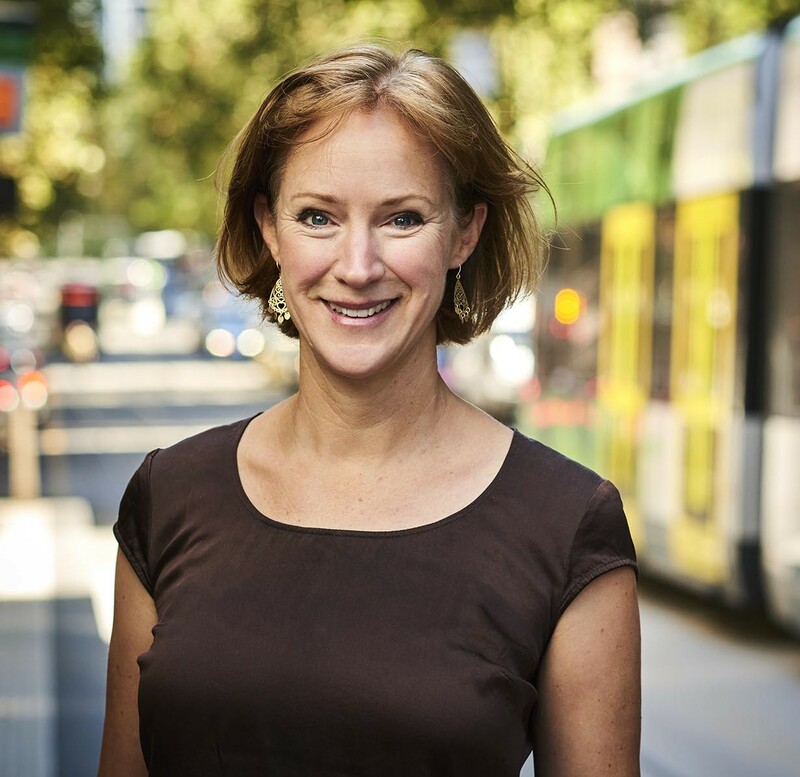 This is what motivates her to continue to work to improve Melbourne’s tram network, working closely with the State and with councils to provide an excellent customer experience, at all stages of the journey, from home to stop, to destination. To that end, the urban design and service interface are important aspects of the overall experience. Her current role encompasses network planning and development, network timetables, passenger experience and marketing, accessibility and innovation. Emilie has nearly 20 years’ experience in the transport sector, having also led operations, stakeholder engagement, customer service and marketing at Transdev from 2011 to early 2017, where she was responsible for over 1000 drivers, fleet (over 500 buses), and the operational control centre. During that time she was part of the set up of the new franchise, and oversaw the construction of three new depots, refurbishment of a further two depots and a complete overhaul of business support systems. Prior to joining Transdev Emile worked in the UK firstly for a public transport authority (Worcestershire County Council) and later in consultancy with Integrated Transport Planning. In that time she led on numerous innovative transport projects including a whole of city sustainable transport program for Worcester, various rural and urban bus developments including an innovative on demand transport network, road safety and school transport strategies. As a consultant she has worked for Transport for London, the Welsh Assembly Government, City of Dublin, and Transport for West Midlands, among others. She started her career in marketing and communications with The Body Shop and went on to work in social marketing in consultancy with a wide range of projects in public health and education. Emilie has completed a bachelor degree in Landscape Architecture, a Post Graduate Degree in Public Relations and a Diploma in Management (Chartered Institute of Management, UK).